my hands, I decided to take it apart and give it a scrubbing. It's not as hard as I thought it would be. 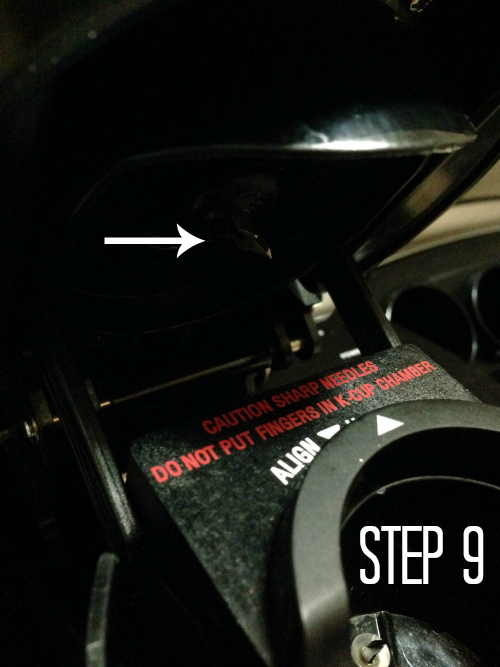 Step 1 - Remove the drip tray from the brewer. 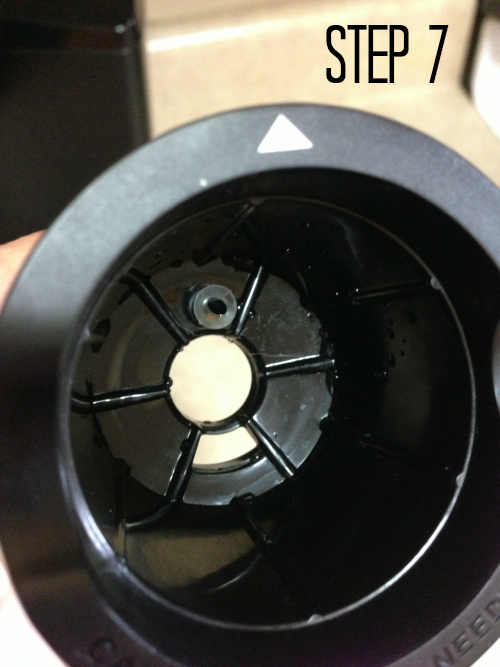 Step 2 - Take apart the drip tray and clean it. 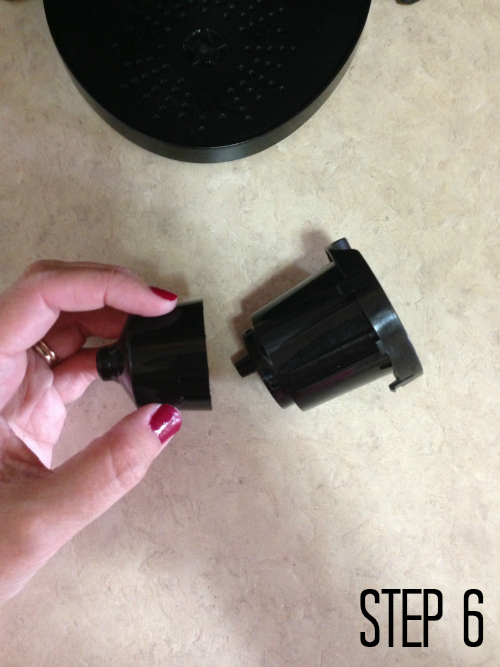 *All removable pieces of the Keurig are dishwasher safe. 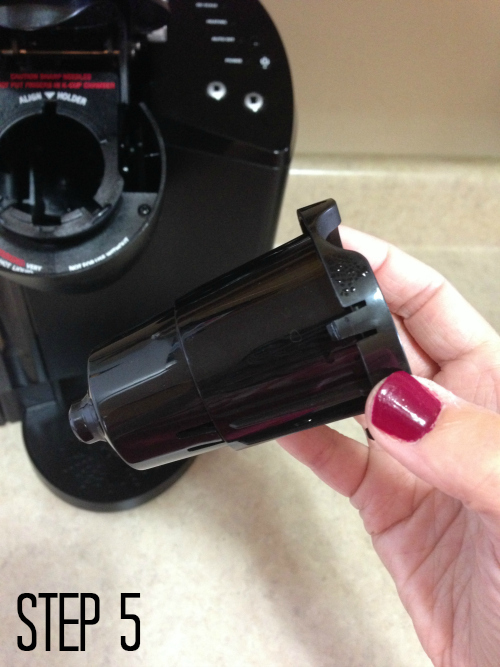 Step 3 - Open the brewer and remove the K-Cup holder. little bit of pressure, but it comes out easily. 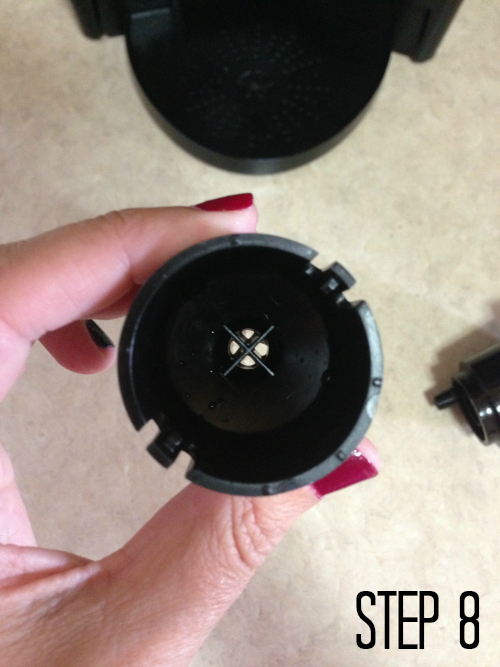 Step 5 - Once the K-Cup holder is out, it will be in one piece. 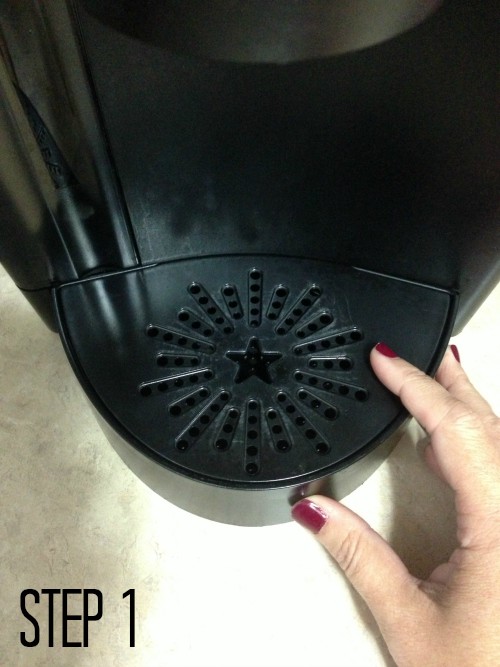 Step 6 - Pull gently on the bottom (funnel) to separate it from the K-Cup holder. 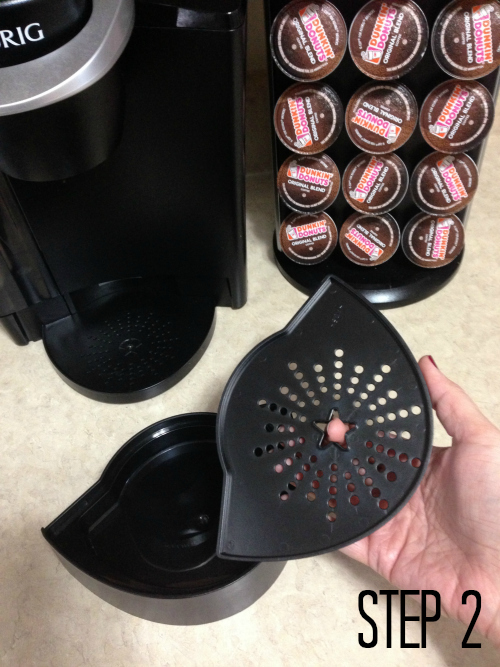 Step 7 - Be careful if you clean the K-Cup holder yourself instead of using the dishwasher. There's a sharp needle inside. As long as you know it's there, it's easy to clean. Step 8 - To clean the funnel, I used a little elbow grease and a toothpick. You want the four holes to be clear of any gunk. 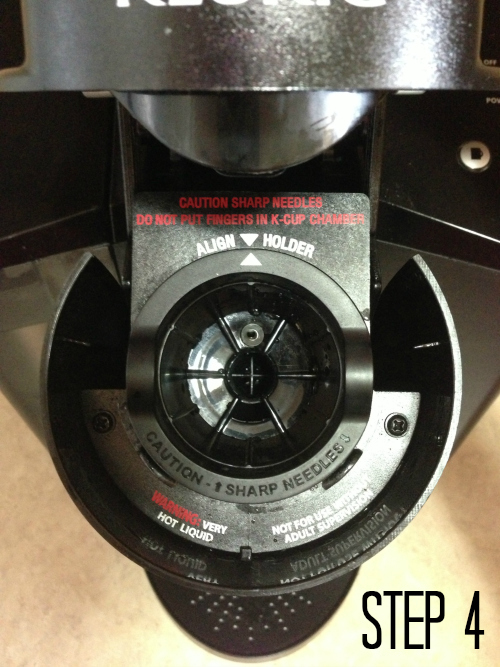 Step 9 - Inside the top of the brewer is the exit needle. Clean this with a toothpick or paper clip. 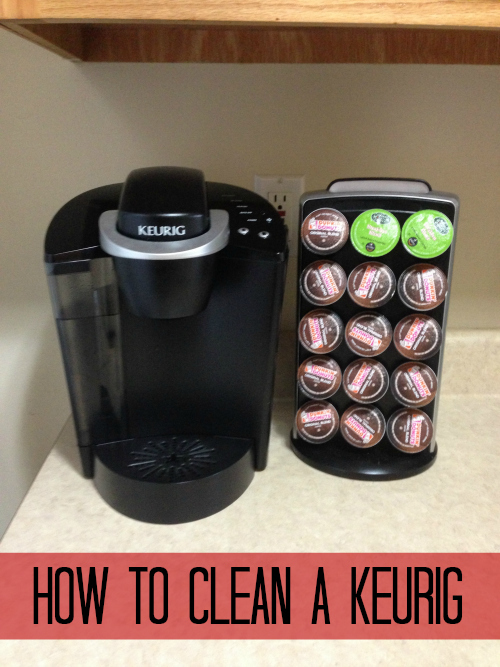 Step 10 - Last but not least, clean out the water resorvoir and wipe down the exterior of the Keurig. A more thorough cleaning method called descaling should be done every 3 to 6 months. 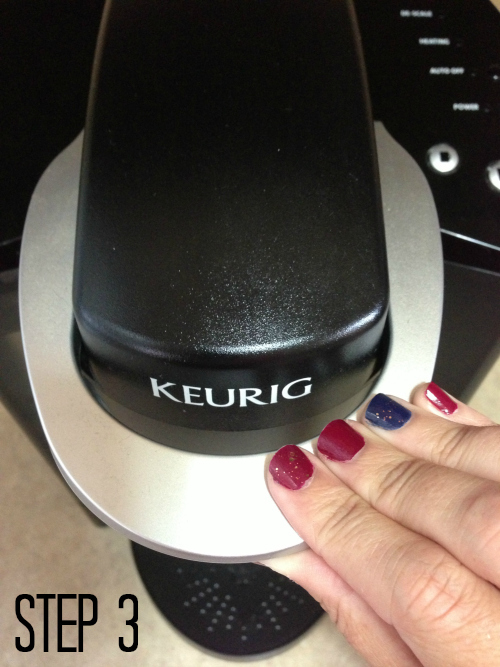 Visit this page on the Keurig website for further instructions. Don't feel bad... I got mine as a wedding gift, and we're approaching our 2 year anniversary in two weeks and well, I've never, ever cleaned the inside of mine either. Drip tray, sure, outside, sure, water holder, yep. Inside, NOPE. Thanks for all the tips!!! I think I've got you beat -- It's been FIVE years since I've cleaned mine. Ha! Have you ever descaled? It sounds kind of intimidating! This is deeeefinitely on my to-do list.